Based in Munich, Marvin & Valentino’s very own Public Possession is a perfect example of fresh air in the Bavarian capital. The duo’s selection for their record store ranges from European fine cuts to Japanese 10inch sought-afters and if you are lucky enough, you may find an international guest or the hosts themselves behind the decks for their infamous in-store sessions. Marvin & Valentino hold also a monthly residency at Munich’s Charlie Bar since the very beginning of the eclectic spot. These guys are on fire, so it doesn’t surprise to see to duo spinning for Tim Sweeney’s Beats In Space show, compiling a mix for Testpressing or that Public Possession as a label already claims a position at Resident Advisor’s Label Of The Month series. Enjoy our chat! Hi! Who are behind Public Possession and what are their respective musical backgrounds? 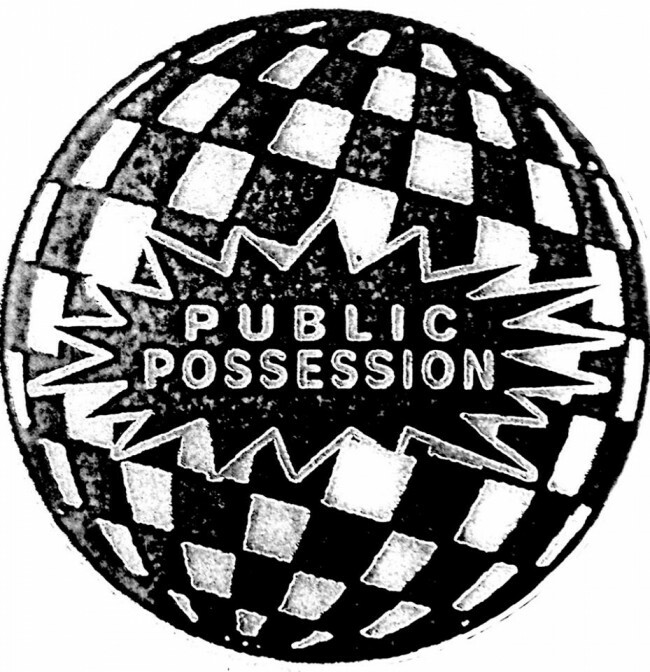 Public Possession is run by Marvin and Valentino. We DJ together since almost ten years and have been into music since early on. Valentino comes from a family of musicians, playing the Violin and participating in different jazz bands. Marvin found out about hip hop, dub and reggae in his early teens and began to explore music in all directions since then. How did the record store Public Possession contribute to Munich’s musical diversity? Do you have a focus on specific genres? When we opened the store we felt that our musical taste wasn’t sufficiently represented by the record stores existing in Munich. We try to keep some variety in what we stock at the store, but we also have to limit ourselves when ordering. Since we run a small shop for a small community of customers we have to select what in our opinion is essential. Our main focus lies on electronic dance music. Also what becomes increasingly important to us is ordering directly from smaller labels run by friends. Is having a web store essential for physical stores nowadays? We don’t know how it is in general, in our case we must say that it becomes more and more important to be able to sell some records online as well. We send out a lot of our own products, i.e. records/shirts/zines etc. Also the above mentioned contacts to smaller labels mostly run by friends, give us the opportunity to offer some records that might not be available so easily at the bigger online shops. What about your production project Tambien? Tambien is us two plus our friend Benedikt Brachtel aka Bartellow. We released some music on Public Possession as well as ESP Institute. There is more stuff in the pipeline. When did you start Public Possession as a label and what is its vision? Is it a platform for your own and friends’ sound or do you aim to involve musicians worldwide? Public Possession was founded in 2013, same time as we opened the store. We use it to release music we like. The output so far has been mainly by friends. And we are looking to keep it like this. We are into the idea, that all label artists can sit together on a table have dinner and the vibe is instantly great. So far this worked out pretty well. This does not mean that we aren’t always open to new input — bonding with likeminded people etc. As for our vision, we like to keep all doors open. Who knows what is going to happen? How would you describe the label’s sound aesthetic? Should people be able to associate a certain sound with a label in general? The idea was from beginning on that everything is possible. We know a lot of great labels, that focus on a certain ‘musical genre’ and that is really cool. For us that’s not the way to go. We both play mainly vinyl when we DJ. So it just was clear that it would be the medium to go with. We also try to create a nice product overall. Means next to the music, there is the artwork and whatever else may go with it. We hope all Public Possession records are nice things, that people want to keep. Pretty much same thing as with the music – everything goes. Except PP05 that was mastered by Bartellow, all records have been mastered by Dubplates & Mastering in Berlin. Up till today we didn’t have a single video to accompany one of the PP releases, which is a bit of a shame. We are working on it though. Social media and Internet in general definitely help promoting ones cause. But we think it isn’t necessary, as long as the music is good it will find it’s listeners. Distribution-wise we are very happy with the job wordandsound is doing. It just saves you a lot of work and time. What’s next at Public Possession? There is a few releases already finished or at least nearly. First one this year will be by Anton Klint and should be out end of February early March. After that there will be a various artists compilation on PP-UTI and and a new Bell Towers EP !